Yassir Benameur, Hasnae Guerrouj, Salah Nabih Oueriagli,Omar Ait Sahel, Imad Ghfir, Nouzha Ben Raïs Aouad. Background: A 48-yearold woman underwent total thyroidectomy for a multinodular goiter. Histopathological examination revealed papillary thyroid carcinoma. The patient was referred to the nuclear medicine department for ablative dose of iodine-131 iodine (3.7 GBq) and post therapy radioiodine scan. Thyroglobulin level was at 11 ng/ml. Procedure: Planar whole-body radioiodine scintigraphy was performed in the anterior and posterior projections 5 days after the ablative dose of 131I. Single-photon emission computed tomography (SPECT-CT) was additionally performed for anatomical localization of the thoracic radioiodine-avid foci. 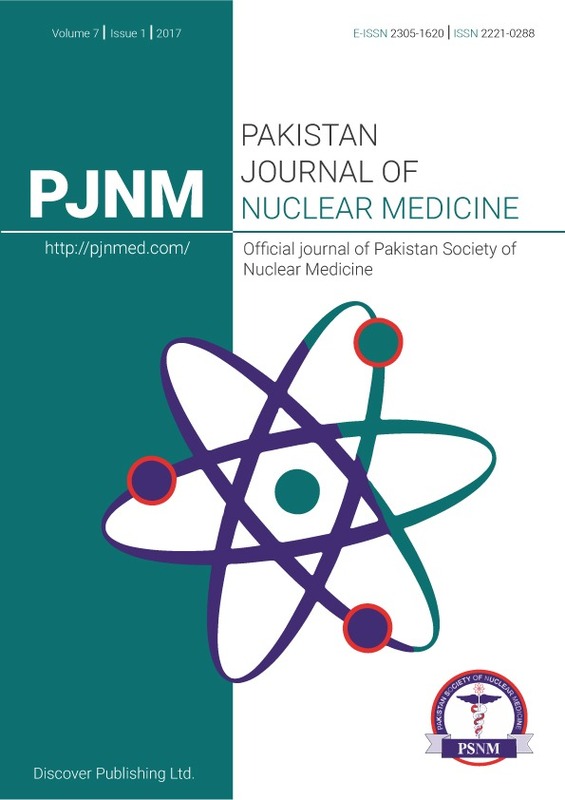 Findings: The whole-body radioiodine scan revealed cervical radioiodine uptake, in relation to a post-surgical residue. The scan also showed two quasisymmetrical thoracic radioiodine-avid foci located probably outside the pulmonary fields (Figure 1). On the SPECT-CT scan these thoracic foci of radioiodine uptake were seen to correspond to uptake in both breasts (Figure 2). Conclusion: Whole-body scintigraphy after 131I ablation showed unusual bilateral focal uptake in the breasts in a patient with papillary thyroid carcinoma. This appears to be a rare case of falsepositive uptake in a non lactating woman. Comments: The knowledge of the usual sites of radioiodine concentration in the body is essential for the correct interpretation of the whole-body scintigraphy. However, the real pitfall in the correct diagnosis is concentration of 131I in a lesser known site.